Captured during my last trip assignment to Namiri Plains in March 2018. 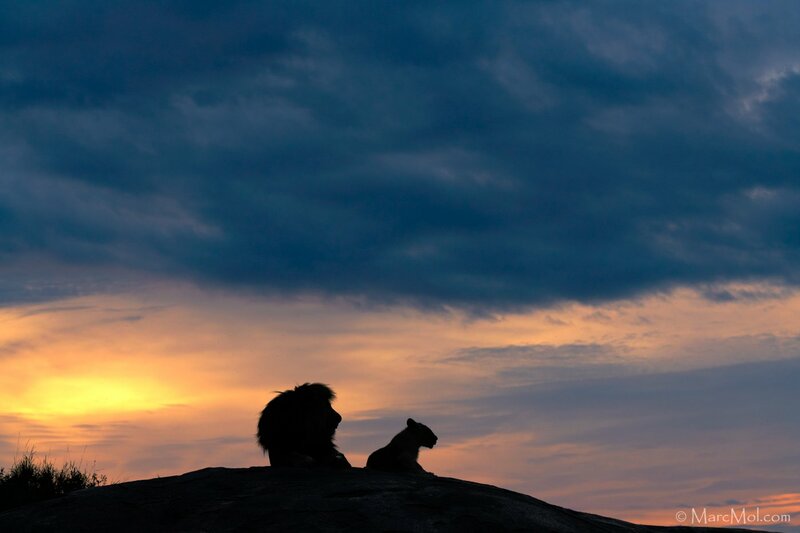 "Look, Simba, everything the light touches is our kingdom. A king's time as ruler rises and falls like the sun. 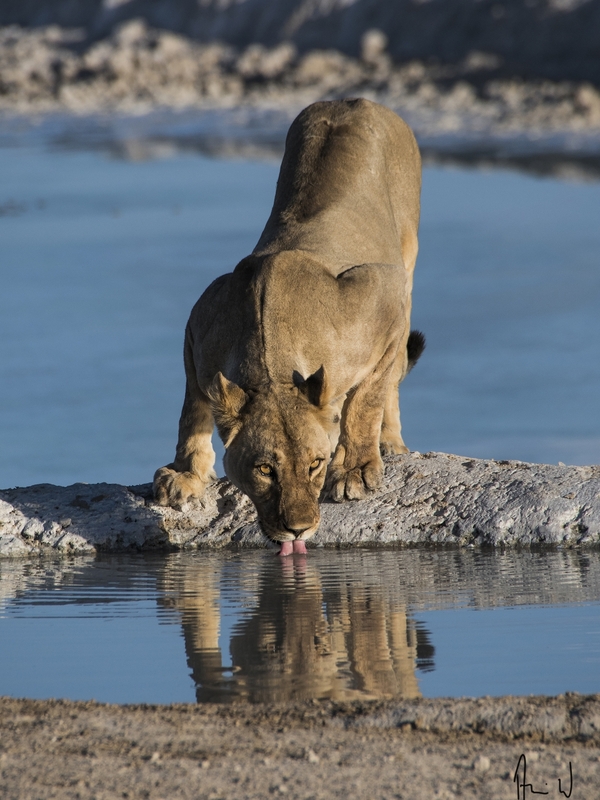 One day, Simba, the sun will set on my time here, and will rise with you as the new king,"
Mufasa tells Simba in the famous scene from "The Lion King"
Thirsty lioness at the Nebrownii-waterhole in Etosha. A Lioness with a baby Red Lechwe kill. Bringing it home to her cubs. Also from Duba Plains. 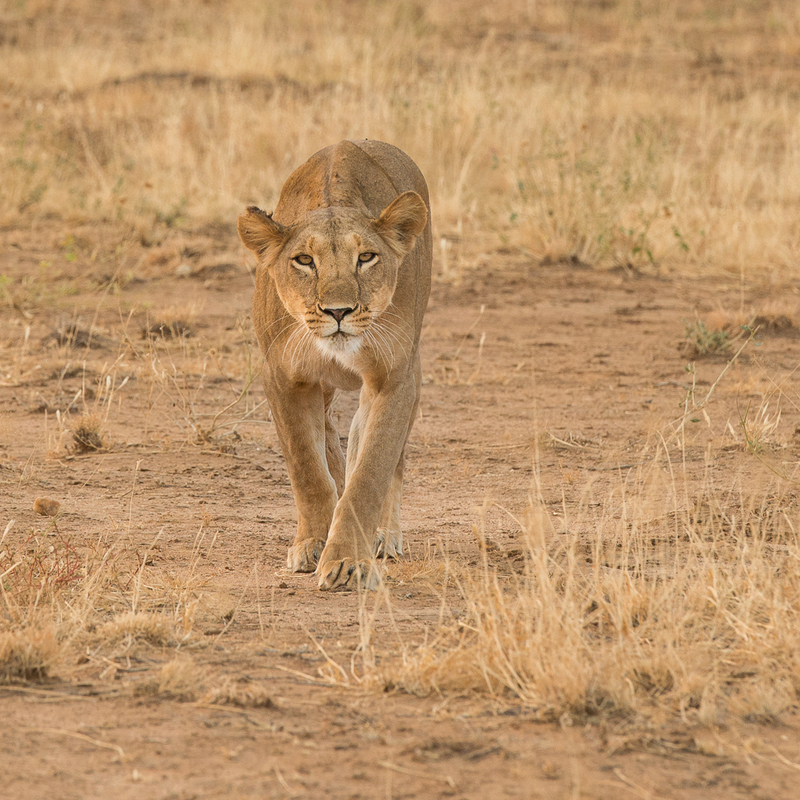 We found a fine looking young male and 3 lionesses. We didn't have the best spotlight in the world, but I managed to get something. Then, on our way to the airstrip the next morning we found them again, lying by a kill they'd made the night before. Masai Mara, Kenya on 19 August, 2014 at 6:26 pm, ISO 800, f/2.8, 1/200 sec. 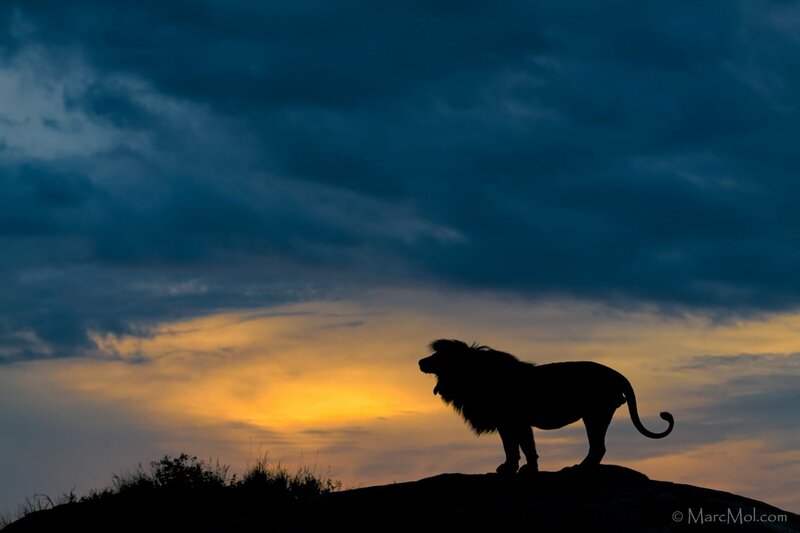 At day's end, the light growing dim, what must a lion think after a long day of portraits by safari guests? In Samburu National Reserve, Kenya, on 29 April, 2014 at 6:43 pm, ISO 6400, f/3.2, 1/125 sec. 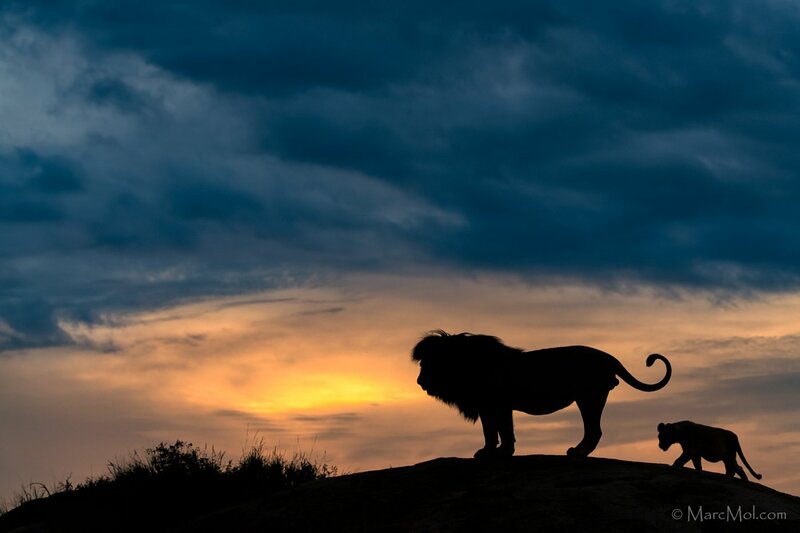 Night falling, lions begin thinking of food. For other animals, not a time to be heedlessly gamboling about. An outline lion. I spent the whole afternoon with guide and tracker unsuccessfully looking for a specific leopard. On the way back to the lodge a pride of 8 lions came out of the bush and settled on the warm road. An approaching vehicle provided just enough backlight. One of my favourite images - ever. Nikon D500, 80-400mm lens@240mm, 1/320sec, f/5.3, ISO12800 (gulp). 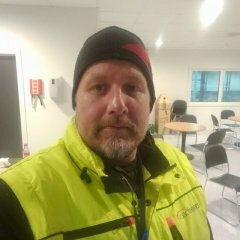 There is not too much noise to see as most of the image is black . More seriously this was the first trip where I have used full manual with auto ISO. All was generally well provided I remembered to adjust the maximum ISO when the light got really poor. 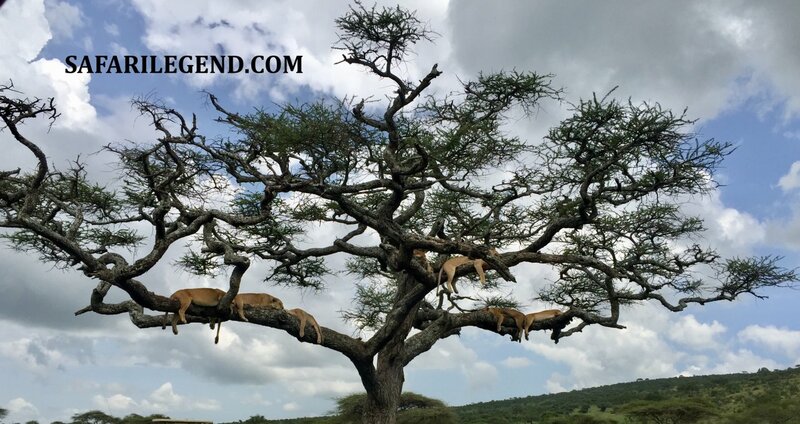 Gamedrive in Serengeti February 2019.